Pianist Jonathan Biss displayed a light touch and a natural feel in Beethoven’s Piano Concerto No. 4, with conductor Jiri Belohlavek. The Boston Symphony Orchestra almost made it through the entire fall without a major conductor cancellation, but its comparatively lucky streak was broken this week with the news from Symphony Hall that Riccardo Chailly has withdrawn from both weeks of his scheduled performances next month, citing health reasons. This was an unfortunate turn, as it’s been widely speculated that Chailly could be a potential candidate to succeed James Levine as music director, but he has never conducted the orchestra and now won’t this season. Still, the gears keep turning. 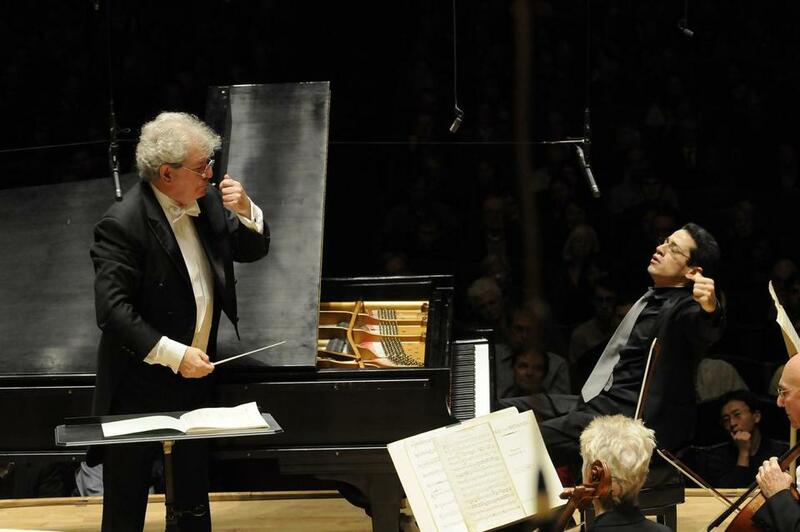 Last night brought the BSO subscription debut of Czech conductor Jiri Belohlavek, who was handed responsibility for what was no doubt originally slated to be another Levine-led program, with its first half devoted to John Harbison’s Symphony No. 5. Harbison’s writing is characteristically lean yet highly responsive to Milosz’s unsettling combinations of ancient and hyper-modern imagery, deploying at various points eerily icy string sonorities, grave bass pizzicato, and even a spikey electric guitar solo to represent Orpheus’s lyre. Milosz himself has a few tricks up his sleeve and Harbison’s music registers the ambiguities and sly hesitations of this poem. The movements based on Glück and Rilke fill out the picture, the latter set with the two vocal lines in vivid canon. No detail feels incidental, every gesture speaks. Last night Gerald Finley was the excellent baritone soloist, Sasha Cooke the fine mezzo, and Belohlavek managed ably from the podium. After intermission, it was pianist Jonathan Biss on hand as soloist in Beethoven’s Piano Concerto No. 4, displaying a light touch and a natural feel for this concerto’s lyrical imperative. The orchestral sound under Belohlavek occasionally lacked definition, and the account of Beethoven’s “Leonore’’ Overture No. 3, while not without moments of high virtuosity, also had passages imprecisely balanced or stripped of tension and mystery.